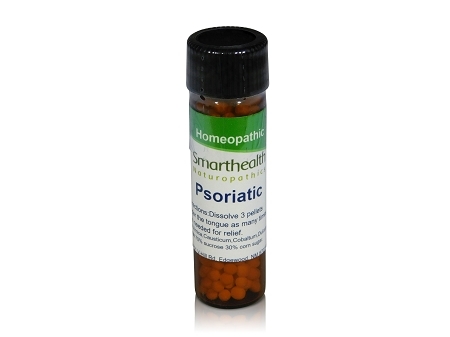 This product is not for psoriasis, for symptoms of psoriatic arthritis only. This product will relieve pain and swelling and many of the accompanying symptoms of psoriatic arthritis in many people.This product works for many of the symptoms of psoriatic arthritis redness,swelling, painful joints, body pains,muscle pains, and inflammation. This product is safe to take with any other products that use for arthritis pain. This product is made in a laboratory using state of the art manufacturing methods.These statements have not been evaluated by the FDA. This product is not intended to diagnose,treat,cure, or prevent any disease. Active ingredients:Arnica,Causticum,Cobaltum,Dulcamara,Jatropha,Iridium. Inactive ingredients: 70% sucrose 30% corn sugar in non allergenic pellets.